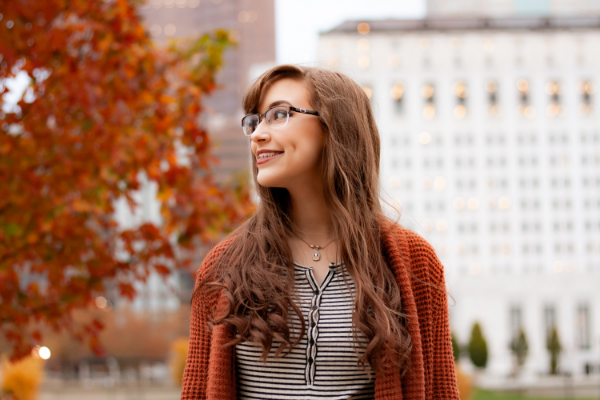 Traditional braces and Invisalign are orthodontic treatments that can be used to address many of the same dental issues; as such, for the most part, these treatments are essentially interchangeable. If you or your child need orthodontic treatment, determining which of these treatments will provide the best overall experience and result requires comparing the pros and cons of each. Invisalign consists of a series of custom-made, clear aligner trays. Trays are worn continuously — at least 22 hours a day — and are changed out every couple of weeks. The new trays are slightly different from the trays used directly before: These slight variations adjust the teeth. Aligners are clear, so they are virtually invisible. There are no concerns related to food getting stuck in the aligners. No brackets or wires to cause discomfort or pain. No concerns related to loose wires or broken brackets. Aligners protect the teeth from nighttime grinding (i.e., bruxism). Aligners must be removed prior to eating and drinking, except when drinking water. Users have to be committed to their treatment. Teeth must be brushed following each meal or the aligners will become stained. Since trays are removed several times a day, they can be misplaced. Not a good option for individuals who need complex dental work. Braces consist of metal brackets: These brackets are attached to the teeth with glue. Once attached to the teeth, the brackets are tied together with small rubber bands and wires. As time passes, the wires are adjusted to move the teeth. Permanently placed until removed by the dentist; therefore, any concerns related to losing trays or lack of discipline are eliminated. A better option for complex dental work. Several options available, including clear braces and tooth-colored braces. Additional cleaning is not necessary, just brush and floss as usual. Treatment times are more predictable. Pain, irritation, sores and discomfort may be caused by the metal brackets and wires. Metal braces require that wearers avoid certain types of food (e.g., sticky foods, corn on the cob, etc.). Wearers may have difficulty eating certain foods (e.g., hard foods, etc.). Braces can lead to tooth discoloration in the areas where the metal covers the teeth. Bad for those who play contact sports. Metal braces are not aesthetically pleasing. Cleaning around the wires and brackets can be challenging. If you live in the San Antonio area and you believe that you, or your child need orthodontic treatment, contact Mason Dental Center today. You can use our online form by clicking here or call our office at 210-822-4664 to make an appointment. Let us help you attain the smile you have always wanted. Veneers are a viable option that many dentists recommend to their patients instead of simply having a crown. Considered to be a standard dental procedure that occurs right there in the office, veneers cover the exterior of your natural teeth with composite resin or porcelain material. Your dentist might recommend that you have a veneer if one or more of your visible teeth are damaged and/or discolored. Crowns or Veneers: What’s the Difference? Veneers are a permanent solution that many dental professionals turn to as an alternative to crowns. With both procedures, your dentist will likely need to remove some material from your healthy teeth in order to properly fit and apply them. When it comes to veneers, though, less material is taken away which can lead to a more comfortable overall experience for you. Today, the dental industry is continuously coming up with new and custom solutions for a variety of issues that face people in regards to their teeth. If you have teeth that are not in good general health, a veneer could help prevent further damage while also making your smile appear more natural and beautiful. Another reason why your dentist might recommend veneers is if you have teeth that already have large fillings but that are also damaged or discolored. If your teeth are slightly crooked — but not so much so that you qualify for braces — then your dentist might recommend veneers to help them look evener. Spaces in between teeth can look cute on small children, but they can have the opposite effect on adults. Veneers can effortlessly close these gaps while also looking completely natural. A fractured tooth doesn’t have to mean that you’ll lose it. In some cases, your dentist could apply a veneer and save your tooth. Mason Dental Center is your San Antonio location for high-quality and comprehensive dental care. Get in touch with us today to schedule an appointment! The need for dental crowns is quite common, but it can be expensive, so it’s worth making sure the procedure is necessary. But before we dive into who needs dental crowns, let’s discuss what a dental crown is. A dental crown is like a cap or cover for an existing tooth. The goal of a crown is to restore a tooth to its original size and shape. It can also help restore function. Crowns are often used to restore a smile for aesthetic reasons, but they can also help you chew and bite better and may help other areas of your health as well. In all of these situations, a crown can fix the problem, but in some cases, there are alternative options as well. Some of these may be less expensive, easier to care for, sturdier, or all of the above. Only a certified and experienced dentist can help you decide. Our dentists are happy to take a look at your teeth and let you know if a dental crown is right for your current situation. It all starts with booking an appointment. Simply give Mason Dental Center a call today, and either Dr. Mason or Dr. McAlister will evaluate your teeth and give you an answer soon. Is the Teeth Whitening Process Painful? Teeth whitening offers a way to make your smile brighter and minimize the appearance of unsightly discolorations or stains from certain foods and beverages, the aging process or other causes. While the thought of having whiter teeth again can be appealing, some individuals are concerned about whether or not the process is uncomfortable or even painful. Find out more about what to expect from teeth whitening. When you have your teeth whitened, you might end up experiencing increased tooth sensitivity. The whitening process often involves the use of hydrogen peroxide, which can make your teeth more sensitive to certain sensations, such as hot or cold foods and beverages. You might also have increased discomfort when cold air hits your teeth if they are sensitive. Depending on how sensitive your teeth are during the whitening process, the discomfort you experience can be mild or more severe. You should keep in mind that this tooth sensitivity is only temporary. When you use an over-the-counter teeth whitening product or have your teeth professionally whitened, you should take steps to better cope with short-term sensitivity. You might want to limit or even avoid having foods and drinks that are too hot or cold. You can also ask your dentist about toothpaste that are designed for people with sensitive teeth. Switching to this type of toothpaste while your teeth are sensitive can make the whitening process more comfortable for you. Using over-the-counter products for whitening your teeth is not recommended if you already have sensitive teeth or if you are worried about tooth sensitivity. Having professional whitening done means that you will be under the care of your dentist during the entire process, whether you have in-office whitening done or use take-home trays. Your dentist can discuss ways to minimize any discomfort you might feel and talk to you about ways to cope with short-term sensitivity until your teeth return to normal. If you’re interested in teeth whitening in San Antonio, please contact Mason Dental Center to set up an appointment. Thanks to modern dental technology, restoring your smile is more possible than ever with dental implants and other restoration procedures. Here is a look at the treatments available to help you restore your teeth so you can feel confident about smiling again. Endosteal dental implants are implanted directly into the jawbone and act as support for either bridges or dentures. Endosteal implants can be made out of several different types of fixtures, and the bones of the jaw must be in good health for the implants to be successful. Subperiosteal implants are the most common type of dental implants used when placing individual prosthetic teeth in place. These implants don’t actually get implanted into the bone; they rest on top of the bone instead. A protruding screw or abutment protrudes above the gum line so the new prosthetics can be placed. Subperiosteal dental implants can be used to replace just one or a few missing teeth, but they can also be used to create an entire set of teeth. If there are teeth missing from your smile, there’s no need to continue to hide your smile from the world when there are so many restoration options available. If you would like to know more about dental implants or smile restoration, reach out to us at Mason Dental Center in San Antonio, Texas. Keeping your teeth and gums in good condition can help you stay healthy overall. Routine dental checkups, along with brushing and flossing regularly, are the most effective ways to maintain a healthy smile. You should aim to have dental checkups in San Antonio twice a year or more often if you have dental problems. 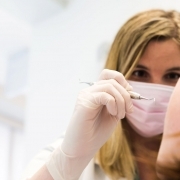 Learn more about the advantages of having routine dental checkups. Tooth decay is among the most common dental problems. When decay becomes severe enough, it can increase your risk of serious infections and result in tooth loss. Your chance of developing tooth decay is higher when you have a buildup of plaque and tartar on your teeth. These harmful coatings can accumulate over time, even when you brush two or three times a day. During dental checkups, dentists remove tartar and plaque from the surface of your teeth, which significantly reduces your risk of tooth decay. Gum disease is another common dental problem that can have severe results. When gum disease is left untreated, you can end up with an infection that spreads to other parts of your body, and your teeth can become loose and fall out as your gums recede. Dental checkups include thorough cleanings that remove plaque and bacteria from your gums, which helps ease minor inflammation before it can turn into periodontal disease. Regular dental checkups in San Antonio also ensure that dental problems and other medical issues are caught early. For example, dentists can screen for oral cancer in addition to checking for cavities and gum disease. Finding these dental and medical problems early helps you get the care you need as soon as possible. When you have an underlying disease or condition that can affect your oral health, such as diabetes, routine checkups also allow dentists to look for early signs of these problems and treat them promptly. If it’s time to schedule your next dental cleaning, please contact Mason Dental Center in San Antonio today.